All HelmPak Press Controls are engineered to meet the highest standards of safety and control. 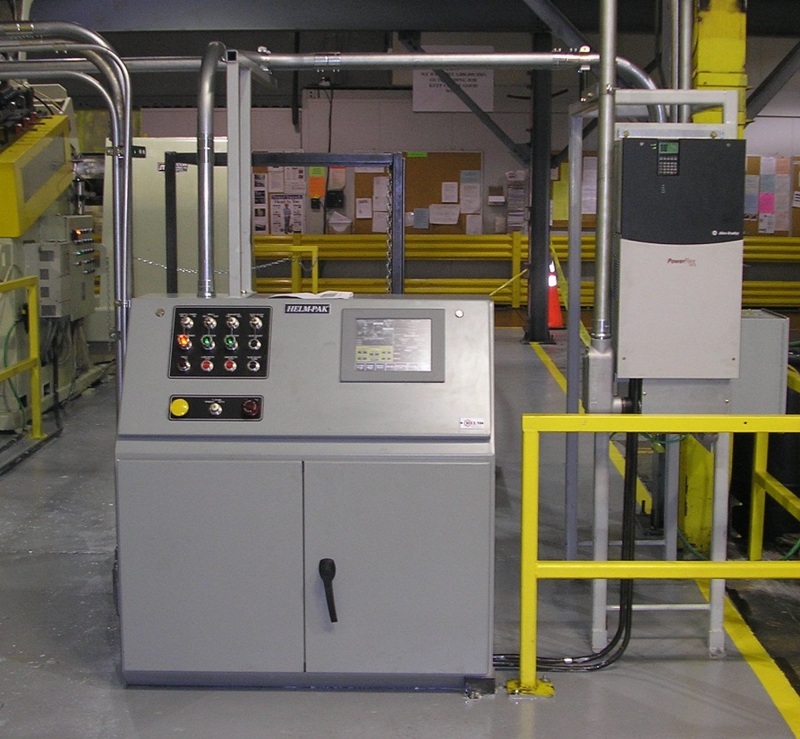 From simple clutch/brake control to transfer line control, HelmPak press controls can be configured for optimal production requirements. With the open architecture that a PLC system can provide, Helm engineers can design and build controls that require less operator involvement, more automatic setup procedures and ultimately provide feedback information for production analysis and reporting. The HelmPak Press Control system can be designed with integrated safety and standard control utilizing a primary GuardLogix controller and Safety Partner processor. 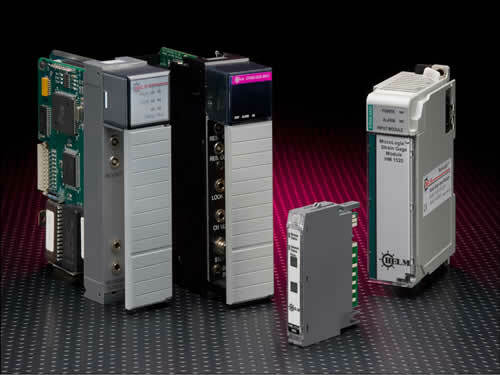 The system can be configured with Guard I/O modules and CompactBlock™ for field device connectivity on Ethernet or DeviceNet networks. 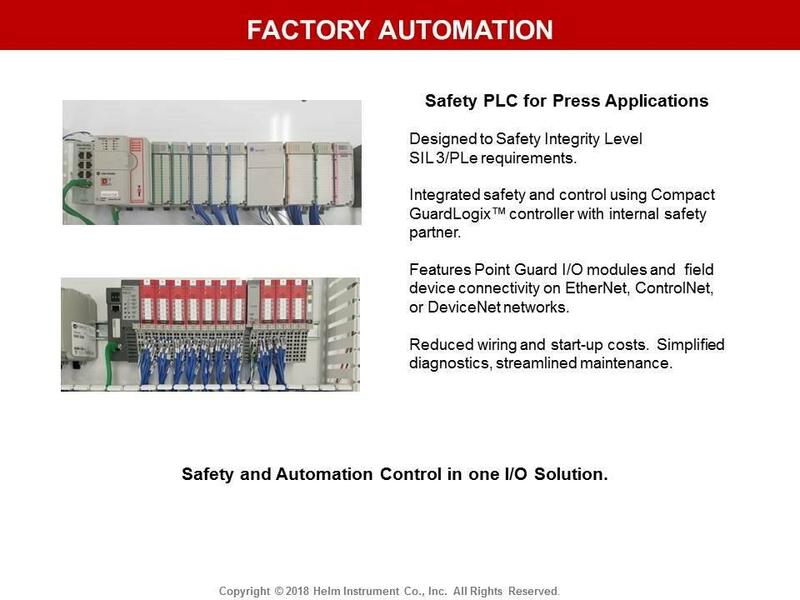 Designed to Safety Integrity Level (SIL) 3. HelmPak Press Control complies with ANSI B11.1 and OSHA 1910.217. A TUV certified system is also available. • Safety requirements and standards. 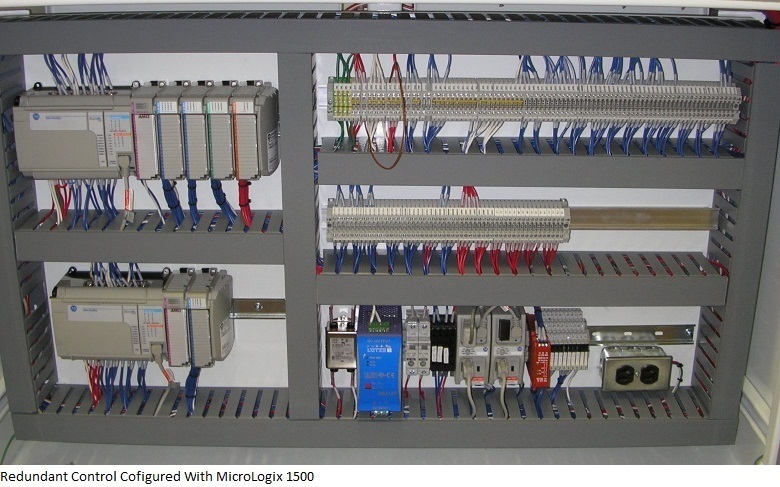 • Factory networking and visualization. HelmPak Press Control is an excellent and affordable choice for upgrading your existing press control. This advanced approach to machine control eliminates relays and outdated “black box” technology. For advanced press control systems, Helm has a team of engineers to provide custom on-site or in-house programming for any automated functionality required.